How do you handle traffic control service in Los Angeles? By covering all the bases. Roadway Construction Services (RCS) provides this coverage with a set of core services that are second to none. Whatever the traffic challenge, RCS is ready to keep L.A. running smoothly. The company’s full range of services include single-lane closures, multiple-lane closures, two-way flagging operations, freeway lane closures, ramp closures, construction notice sign installation, and concrete & water-filled k-rail installation. RCS supports these services with expert monitoring for a variety of situations. Their on-site teams ensure devices remain properly positioned, assist with entering and exiting work areas, and alert pedestrians and drivers with flagging operations. These efforts bring an unsurpassed level of safety to job sites, enabling crews to work more efficiently and complete projects in time and well within budget. Expertly-trained on-site crews definitely play a major role in the success of any L.A. traffic control operation. Nevertheless, advance planning before the crews arrive is equally critical. A traffic control plan covers a great deal, from the first advance warning sign, through the transition and activity areas, to the final traffic control device. No stone must be left unturned. RCS engineers each traffic control plan to be site-specific. Planners draw everything to scale and show all current conditions. To maximize accuracy, RCS consistently utilizes cutting-edge technology to create plans unsurpassed for safety and efficiency. But a completed plan isn’t enough. Each one must comply with current Federal and California state guidelines. Or it’s back to the drawing board. When it comes to traffic control in L.A., the biggest challenges aren’t always on the road. Equally demanding is the process of securing proper authorizations. Indeed, obtaining permits can be a major time and money drain. Consequently, many companies simply don’t have sufficient time or manpower to slog through the process. Fortunately, Roadway Construction Service knows the permitting process inside out. Thanks to substantial experience in this area, RCS can get quick, money-saving answers to common questions such as: Has the host city pulled the right permits? Are they current? Have they been properly approved? Of course, it helps to have long-established relationships with the decision-makers at numerous key agencies. Because of these connections, RCS can acquire important permits with lightning speed. From burst water mains to power outages, urgent situations can wreak havoc with L.A. traffic flow. Fortunately, the City of Los Angeles can count RCS for lightning-quick, 24/7 emergency response traffic control services. 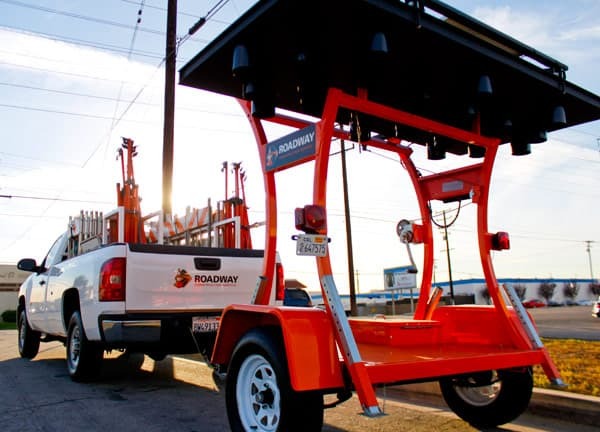 Thanks to its depth of services, RCS repeatedly has proven itself when a job requires the very best in L.A. traffic control — for both planned and unplanned needs. If you’re interested in learning more, contact RCS for a complimentary consultation. You’ll discover why they’re the go-to service for traffic control in Los Angeles, Orange County, and all of Southern California.